the tension bow at the rear and the foldable top section with multiple bows. 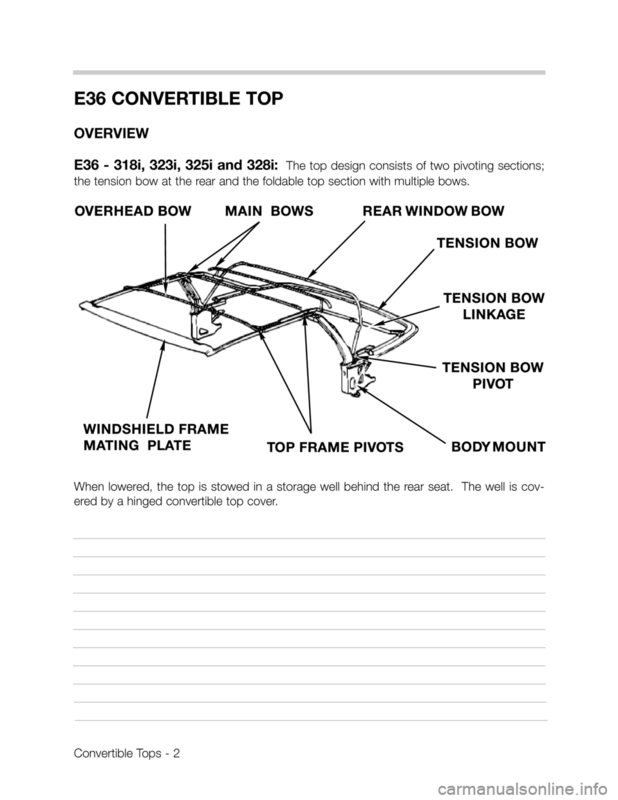 ered by a hinged convertible top cover. lighted as required where differences occur. The top is designed as a self tensioning, electric mechanical power operated folding top. 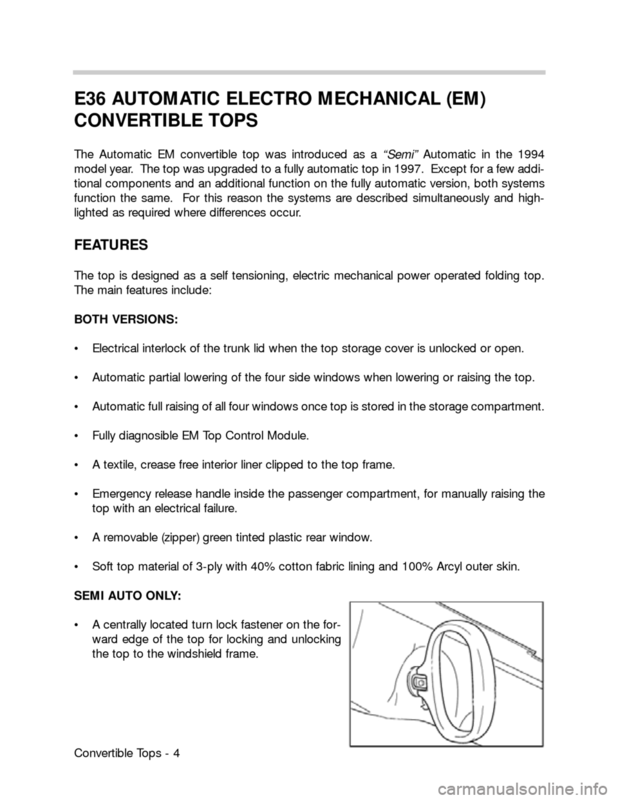 • Electrical interlock of the trunk lid when the top storage cover is unlocked or open. 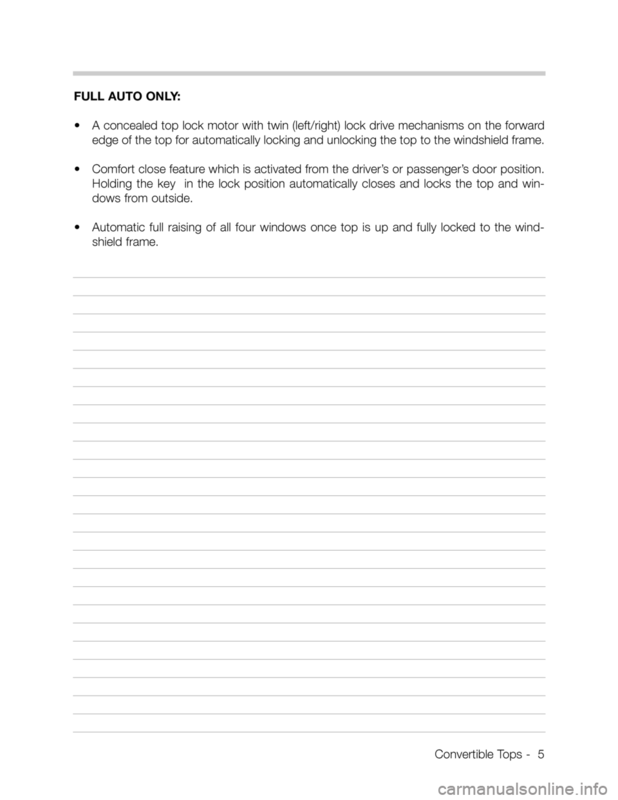  Automatic partial lowering of the four side windows when lowering or raising the top. 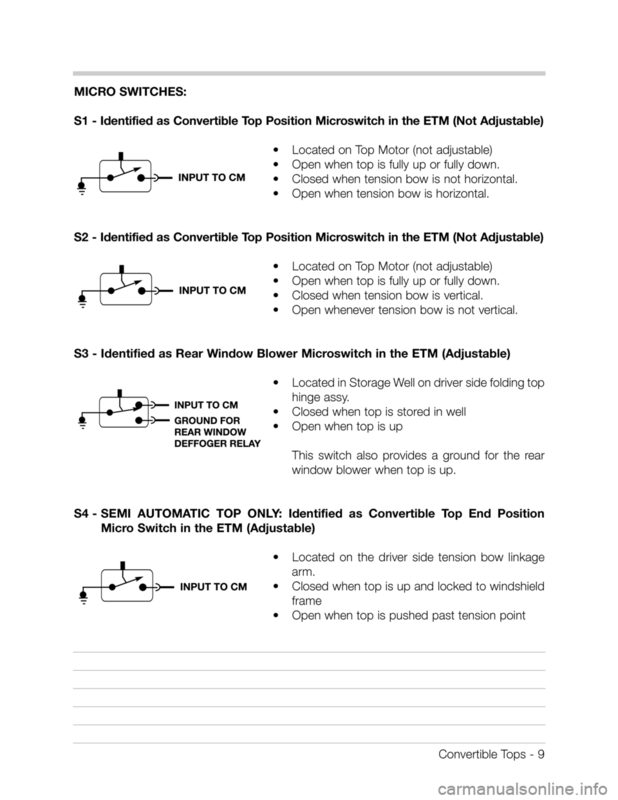  Automatic full raising of all four windows once top is stored in the storage compartment. 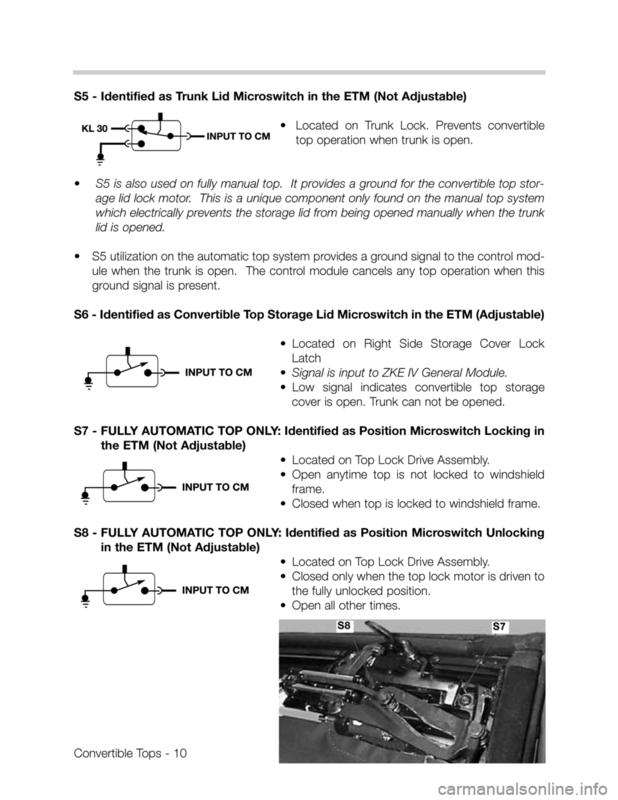  Fully diagnosible EM Top Control Module.  A textile, crease free interior liner clipped to the top frame. top with an electrical failure.  A removable (zipper) green tinted plastic rear window.  Soft top material of 3-ply with 40% cotton fabric lining and 100% Arcyl outer skin. the top to the windshield frame. edge of the top for automatically locking and unlocking the top to the windshield frame. •Comfort close feature which is activated from the driver’s or passenger’s door position. nosible with the DIS or MoDiC. ment with the lid closed. 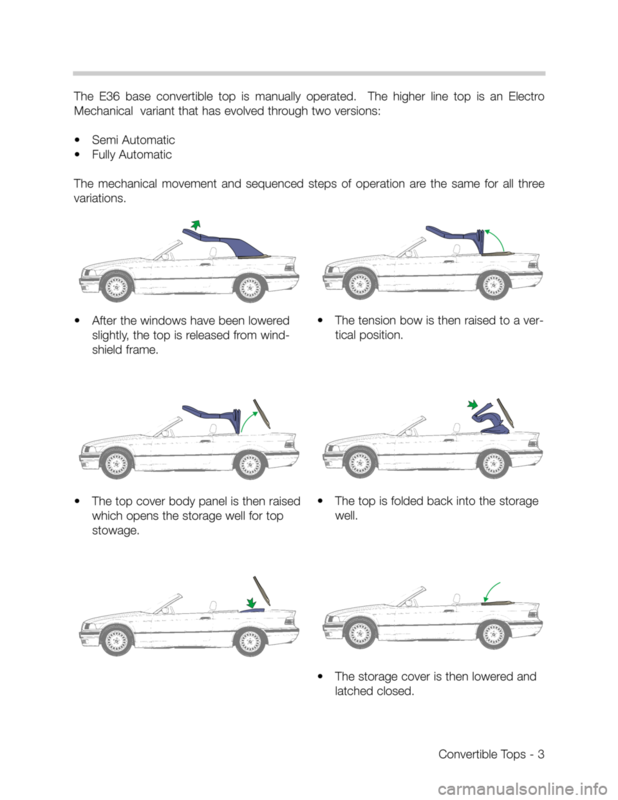 drive motor is located under the top storage compartment on the left side of the trunk. 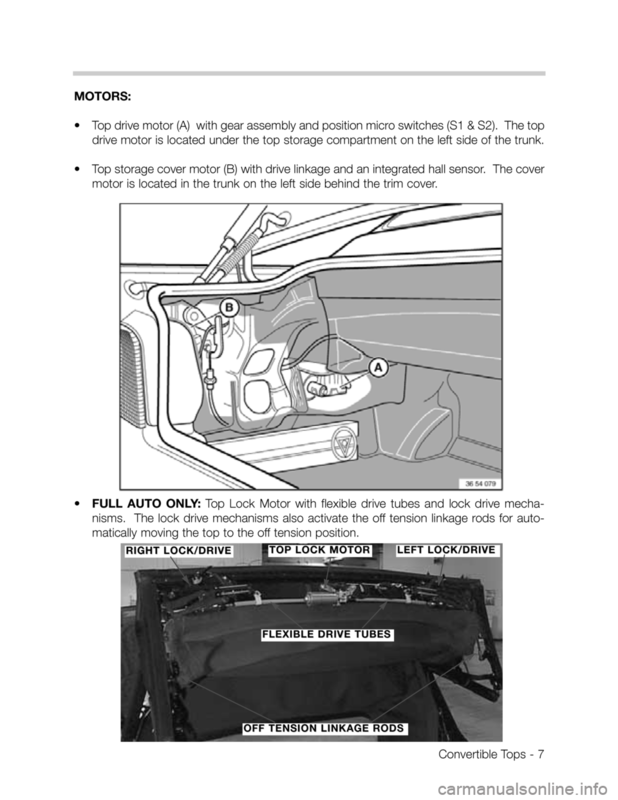 motor is located in the trunk on the left side behind the trim cover. 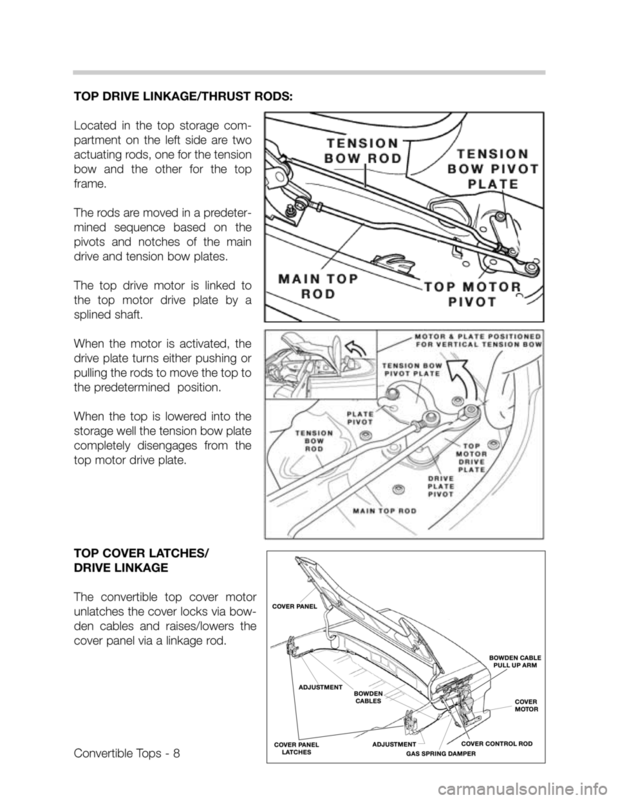 matically moving the top to the off tension position. drive and tension bow plates. cover panel via a linkage rod. 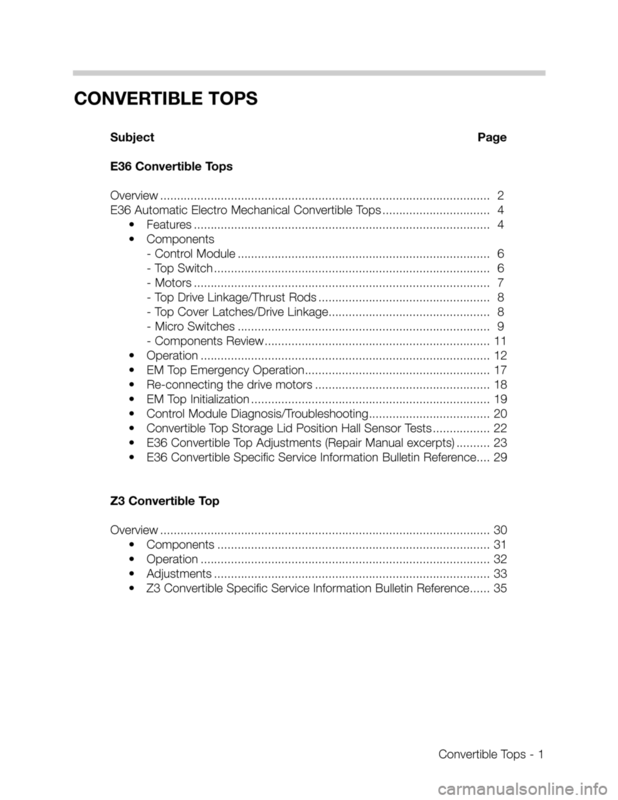 •Open when top is fully up or fully down. •Closed when tension bow is not horizontal. •Open when tension bow is horizontal. •Closed when tension bow is vertical. •Open whenever tension bow is not vertical. window blower when top is up. top operation when trunk is open. 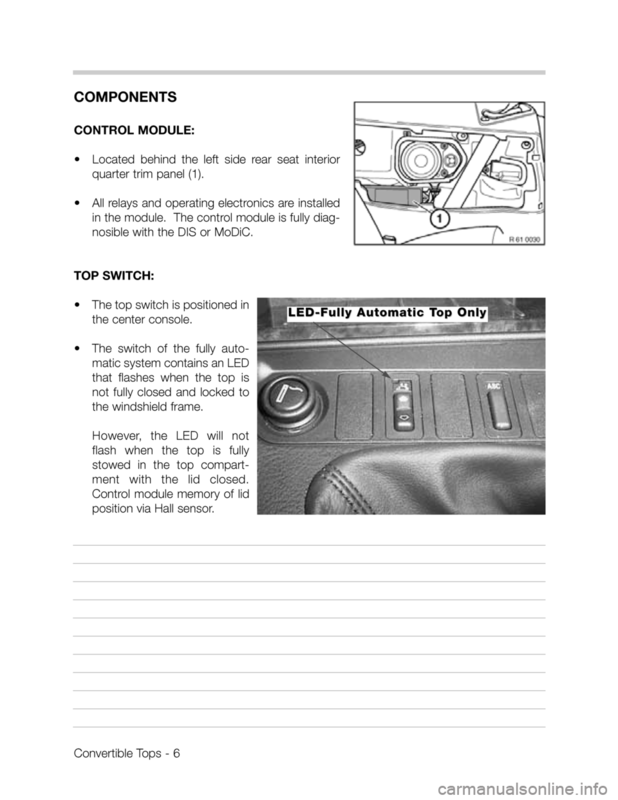 •Signal is input to ZKE IV General Module. cover is open. Trunk can not be opened. •Located on Top Lock Drive Assembly. •Closed when top is locked to windshield frame.